The Finest Cabinets in New Orleans, Metairie, Mandeville, Covington & all across SE Louisiana. As the best place for cabinets in Covington, Mandeville, New Orleans, Metairie, Slidell and all of Louisiana our team of experts are here to meet your cabinetry needs. 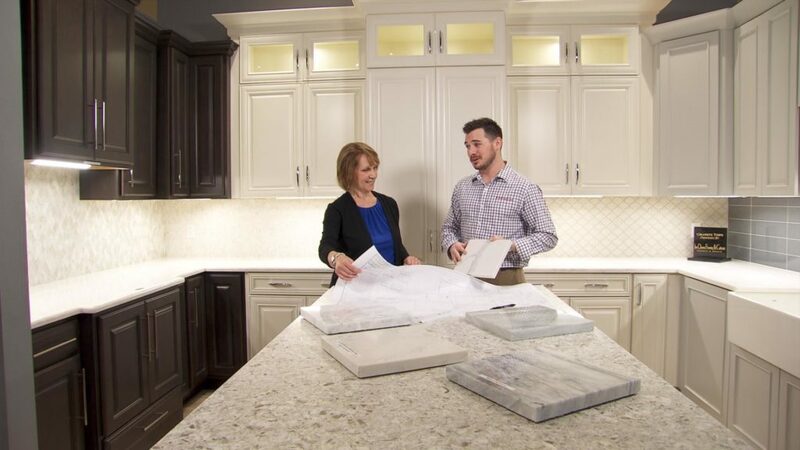 At Jim Owens Flooring & Cabinets in New Orleans, we offer an endless selection of cabinets and cabinetry combinations, with many custom options to craft a uniquely personal design for your home. Our professional sales staff and cabinet installation crews have the experience to turn your cabinet dreams into reality. We carry the finest cabinets, with cabinet brand names including: Showplace Cabinets, Echelon, and Timberlake. Additionally, we offer a variety of cabinet accessories, wood finishes and other enhancements. Here at Jim Owens Flooring & Cabinets, we proudly serve the Greater New Orleans including Covington, with two convenient locations in Metairie and Mandeville. Visit us today, and let us help you find the perfect cabinets for your home or office.